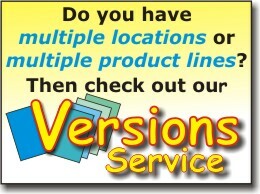 THE Custom Newsletter Service - full, comprehensive services or select just those you need. 1. Discuss your requirements with you personally, and the vision you have for your publication. 2. Ask you to select one of our free Standard Designs and at no extra charge we will customize the colors to match your branding. Alternatively, for a mere $100 Design Fee we will create a custom design that fits your vision, or recreate a design you submit to us. 3. Begin the layout process by populating your publication with the text and graphic content you have submitted. If necessary we will complete the layout with interesting and relevant material at no extra charge. If you have chosen our Turnkey Content Service, guided by your instructions and relevant key words and phrases, we will begin the research and creation of the content creation for that issue. 4. During the layout and proofing process we will send you regular updates for your approval and comment. 5. Upon your Final Approval of the layout, we will prepare hi-resolution, electronic Masters. If required, your newsletters will then be printed on your choice of stock and prepared for USPS bulk mail distribution. 6. Finally, your newsletters will be distributed to your mailing list, either electronically, or by bulk USPS at the lowest available postage rate - guaranteed! We will follow pretty much the same route as the Full Service Plan, except it will be modified by the services you select. After you have decided upon the design of your newsletter, we will begin placing the content, sending you regular updates for your approval or comment. Upon completion and your Final Approval of the layout, we will create the hi-resolution, electronic Masters. we will send the Masters to you or your print shop. we will send the quantity requested, printed on the stock you have chosen to you for your disposition. now is when we will need your mailing list. We will let you know when your newsletters have been printed and dropped at the USPS bulk mail center for distribution. When they arrive at your control addresses* you will know that the rest of your list have received them, too. now is when we will need your eMailing list. When they arrive at your control addresses* you will know that the rest of your list have received them too. * Control addresses are those you add to your mailing list so you can monitor distribution. on our Full Service Plan. on our Custom Service Plan.